Choosing the Path | Only at His Feet! 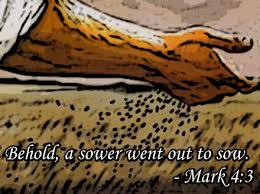 Mark 4:14-15 (ESV) The sower sows the word. And these are the ones along the path, where the word is sown: when they hear, Satan immediately comes and takes away the word that is sown in them. Seeds have a way of traveling. 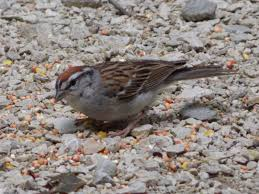 Whether it’s by air, animal, or human they get scattered around so that hopefully they will grow. Yet we all know there are some that never make it any further in their growth than in the shape of the seed. They can and do fall in places where growth is impossible. 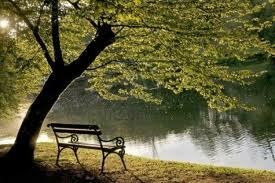 Unlike the seeds of trees, we have a choice of whether we want to grow as a child of God. We can read our Bibles, study it, go to church, pray and listen for the voice of Jesus. It is up to us to make sure that the ‘seeds’ of our relationship with Him are watered, given plenty of Son for growth, and pruned when needed. But what about those around us who are not followers of Jesus Christ? What if they have heard the Word but choose not to believe. God gave each human being the free will to choose whether or not to follow Him. I believe it grieves the heart of God but being a Christian is not compulsory. He does not force us to do anything. In light of that fact, a question that needs asking is – what is our responsibility as Christians to them? I believe that we are first to love our neighbor. Who is that – everyone around us no matter who they are, where they come from or what they have done. We are to show Jesus to everyone by the way we speak, act and react. We are the only Bible that some people ever read and He expects us to represent Him well. Do we have to agree with everything in the world? No. Our manual for living is the Word of God and nothing trumps that. Sometimes the ‘seeds’ that we sow fall on hearts that do not want Jesus. They don’t desire a relationship with Him. It’s sad but very true. All we can do is pray that God can take the ‘seeds’ we sow and create fallow ground in hearts so that they then choose to live for Him. My prayer is that my relationship with Jesus is unmistakable to those around me…that I sow ‘seeds’ so that others will make a choice to follow Jesus Christ…that my life is a testimony to the pruning and growth God wants in each of His children’s lives. How about you?